← May 2014 Synchroblog – What The Hell? Thanks Mallory – we do ask for links to be posted on this blog but I do usually get around to checking for them on facebook too. I will add yours now. I appreciate you participating! I would prefer the title of my post be listed as The “Y” in the Road. Thanks Liz! Linda, I’m so sorry I made that mistake. I have corrected it here and on the list at the end of my post. Thanks for participating! I’m late to the party – I had trouble posting my link. I’ll add your link to the list. I’m curious about all this. I love this idea. I’d like to join. So I’m wondering exactly how it works. Is it where you post the topic on this blog, and then people have the whole month to add links on the topic? How long should the post be? 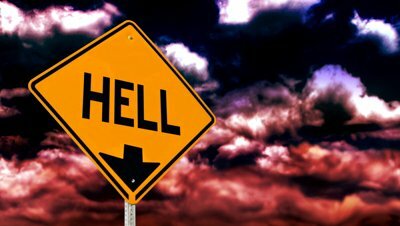 Like for example this month the topic is “hell” right? Thanks! To get a notification that an announcement has been posted you can subscribe to this synchroblog site (top right of this page).